The purpose of O’Dea Drama is to help students discover leadership, language, public speaking, analytical, and teamwork skills in the context of providing an authentic, structured, theatre production experience. Plays are chosen for their male-centric themes and cast preferences. All students in any grade are welcome to participate by audition. Rehearsals for the two productions per year are after school with performances being on evenings and weekends. O’Dea partners with Holy Names Academy to provide performance opportunities for girls and is a guest in the HNA Auditorium for the February play. The first production of the year is the O’Dea Holiday Broadcast which happens in early December in conjunction with the band and choir. A take-off on the Old time radio broadcasts of the 30’s and 40’s, episodes of Fibber Magee and Molly, Its’ A Wonderful Life and Who’s on First are examples of segments that have been used in past Broadcasts. 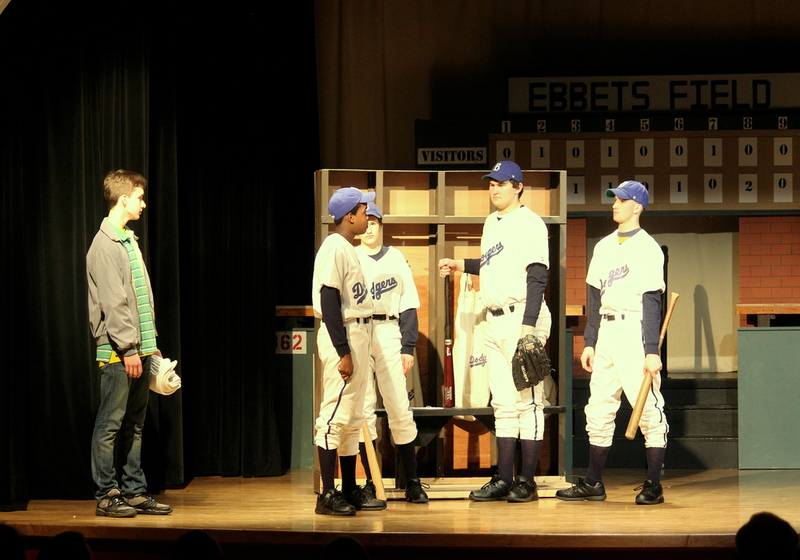 The large-cast February play (12 to 30 roles) features a fully realized production with set, costumes, lighting, sound, and make-up. Examples of past productions are The Three Musketeers, Get Smart, Holes, The Sting, Seven Keys to Baldpate, and Jackie & Me.